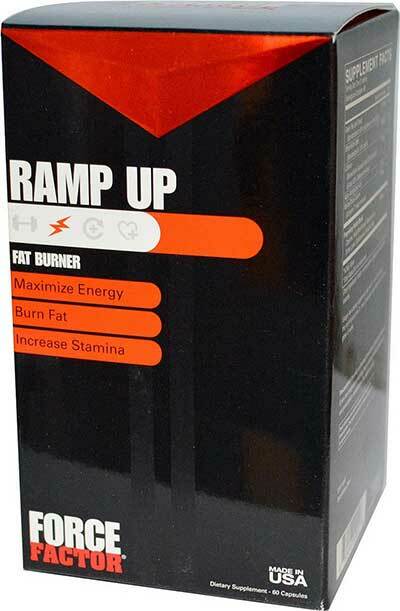 Ramp Up is a supplement designed to provide extra energy and help you to burn more fat. 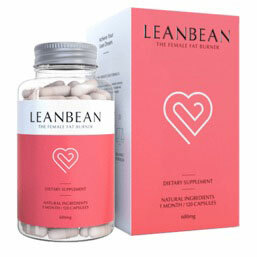 It’s likely to attract the attention of a lot of people who are looking for a good diet pill, but Ramp Up is not intended to be used in this way. It’s been developed for people who are more likely to be found curling weights than spending their time sitting on a couch or following low intensity pursuits. 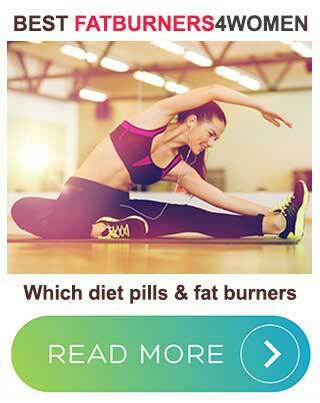 If you need a good diet pill to help you to lose weight, you need to be looking elsewhere. If you are finding it difficult to train as hard as you want to, or hope to burn your excess fat and show off your hard-earned muscles, Ramp Up was developed with you in mind. 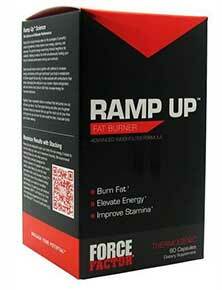 Ramp-Up is manufactured by Force Factor. The company has offices in Boston (USA) and provide a good level of customer service (during normal working office hours) via several country-specific helplines. Ramp-Up is intended to be used two times per day. Morning Dose: On to two capsules, taken with water. Afternoon Dose: One to two capsules taken with water. Green Tea Extract (240mg): The fat burning reputation of green tea can be supported by several studies, one of which suggests it can increase energy expenditure for 24 hours. Caffeine (200mg): Caffeine can improve athletic performance in a number of ways and research shows it can be good for fat burning as well. White Willow (200mg): The bark of willow trees provides a compound that acts in a similar way to Aspirin, but it is not so easy to tolerate and has the potential to cause stomach upsets. Marine Coral Calcium (100mg): Calcium is required for energy production, but most people will obtain enough from their food. The use of marine coral may also entail health risks because coral often falls victim to contaminants. Alpha-Ketoglutaric Acid (100mg): A chemical that’s found in the body. Synthetic versions are added to supplements because it’s believed to improve physical performance. Cayenne: Research shows, cayenne (red pepper) can increase thermogenesis and lipid oxidation. Maté: An ingredient taken from the Yerba Mate plant. Maté contains caffeine, so it can be good for providing energy. Bladderwrack: A popular iodine providing ingredient. Iodine is often added to supplements because the thyroid gland uses it to produce important hormones that are needed to govern the metabolism. Mustard: Some of the many health benefits associated with mustard include relief of muscular aches and pains, improved cardiac health, and detoxification of the body. Meadowsweet + Wintergreen: Two plant extracts that provide salicylates that are similar to those found in white willow bark and aspirin. If enough is included, the presence of these two ingredients may help ease muscle pain, but they also have the potential to upset the stomach. The response to this product is mixed. Some people say it worked well for them. 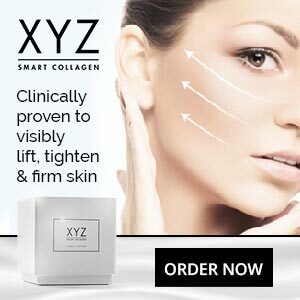 Others say it did not work at all and there also appears to be a chance of side effects. A number of former users state the formulation caused them to have stomach cramps and/or made them feel sick. We suggest all potential users get a doctor’s approval before commencing use of this product. Although it’s possible to buy Ramp Up from the Force Factor website, people who do so are looking at paying nearly $50 per 60-capsule bottle and there is no money back guarantee. Buying via Amazon is a much cheaper option because the Amazon price is $18.95 per bottle. People who use Ramp Up may find they have enough extra energy to train harder in the gym and, if the diet is right, the product may support improved fat burning too. The problem is, Force Factor has opted to use a few ingredients that appear to upset some people’s stomachs, and one that could contain pollutants, so it’s pretty safe to say the blend could be improved.